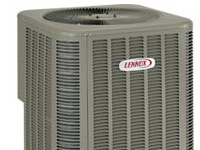 Does Lennox offer AC systems in all price ranges and sizes? Are central heat pump units available? What factory warranties are available? The low initial price of these efficient, quiet models makes high quality affordable for almost any Texas homeowner. Advanced features include scroll compressors, environmentally friendly R-410A refrigerant and digital control systems. Popular with budget-conscious homeowners, they’re also ideal for many rental property owners. Choose from AC-only 13ACX and 14ACX models or 14HPX heat pump models in capacities to suit any home. Elite models are a popular choice for homeowners who want outstanding performance and quiet operation at moderate initial cost for their home. Most models are Energy Star rated and qualify for available energy company rebates. Their scroll compressors carry a 10-year limited parts warranty, and these units are available in capacities to match even the largest homes. For AC-only systems, select from XC14, XC16, and XC20 models. Equivalent heat pump models are XP14, XP16 and XP20. 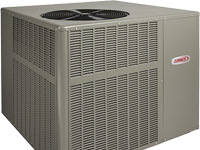 This line of no-compromise HVAC equipment meets the requirements of the most discerning Texas homeowners. Super-quiet operation and some of the highest efficiency ratings available anywhere are just some of their sought-after features. Two-stage cooling provides even heating, and the attractive weather-resistant cabinets will grace any home. You’ll find a model to suit any residential application. AC-only models available include SL18XC1, XC21 and XC25. Heat pump versions are available in SL18XP1, XP21 and XP25 models. For Texas homes designed to use an all-in-one packaged heating and air conditioning system, this series offers top performance. Economically priced, they are available in a wide range of combinations and capacities to suit any home in the Houston, Dallas, Fort Worth or San Antonio area. Their attractive, weather-resistant, streamlined cabinets blend in with your exterior. Quiet scroll compressors and fans, along with top consumer ratings make these systems a popular choice throughout the state. These systems are also ideal for light commercial installations. 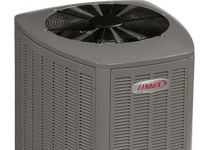 If you need a new or replacement central air conditioner, heat pump or packaged HVAC system for your home, it’s hard to beat a reliable, cost-effective Lennox system. That is why tens of thousands of these products have been installed throughout all regions of Texas, from New Braunfels, Amphion and Sisterdale to Fischer, Alamo Heights and Pleasanton in the San Antonio area, from Cloverleaf, Seabrook and Katy to Magnolia, Hufsmith and Atascocita in the Houston area. A wide range of models is available to suit almost any residential application from many dealers. Check our extensive directory of Texas air conditioning contractors to find a company near you and ask about a product to match your needs and budget. Some of the high-efficiency products may qualify for available factory rebates and energy companies’ rebates, which amount to significant savings. 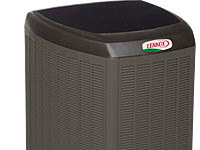 Your dealer can help you choose the units that can maximize the rebate amount. Compare these models with other brands and select a system that’s ideal for you. Most reputable Lennox dealers offer flexible financing options to make your purchase fast and easy.